Wanna see the other page??? Of course I made 2!!! I just can't help it! I'm very excited to have this set done for Sarah's album...it will likely spend some time on my wall first so everyone can enjoy it (well, whoever comes to my studio at least!) But I know she will delighted to see it entered into her album!!! Page 2 is very simple...but I think the message is clear...those were some of Sarah's party guests at her 3rd Birthday Party (it was also Sean's 1st Birthday Party). The second page is pretty much the same as the first...with a few less embellishments. Well, I am a day early getting this up (or 6 days late...it just depends on how you look at it!) 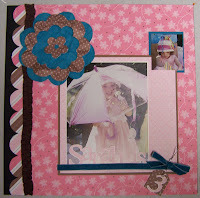 I had a LOT of fun doing this layout...I admit, I'm a bit of a hoarder!!! This is the first Designer Paper I bought from Stampin' Up and it has long since retired so it's nice to use some of it up on this project! I used Stampin' Up! Loves Me DP and the co-ordinating ribbons (I just love the chocolate chip one!) I added in a bit of Close to Cocoa, Whisper White and Taken With Teal for accents. The letters and flowers are all courtesy of my new Cricut Expressions (Thanks Mom!) I used the Schoolbook Plaintin Font and Accents and Elements Cartridges for the flowers. 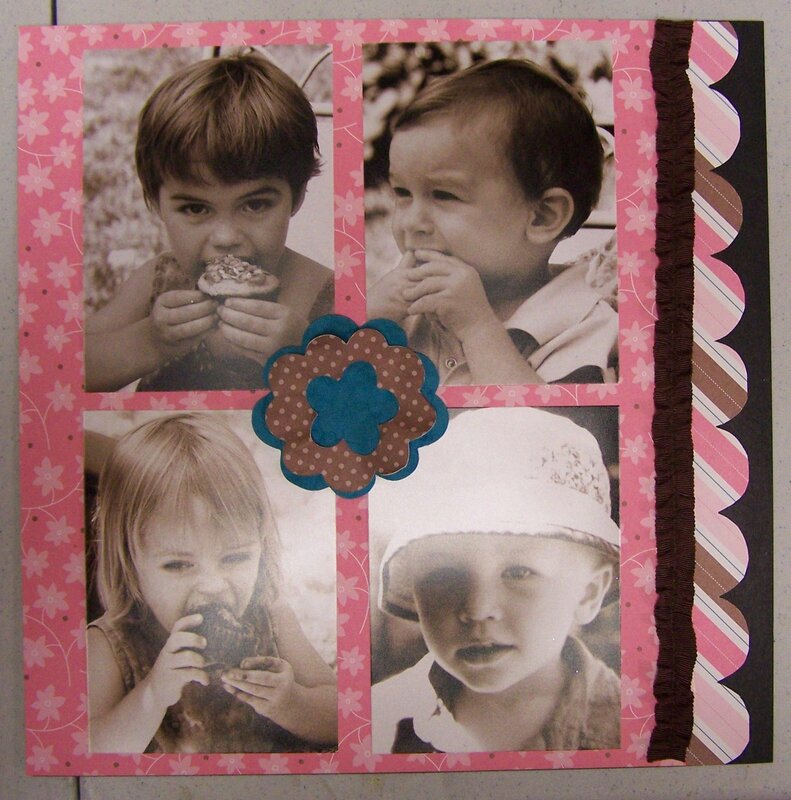 I created the scallopped edge by glueing a number of punched circles onto a piece of cardstock and using that as a template to cut my border out. I have been having loads of fun scrapbooking again! Pencil Lines has been such an inspiration to me!! !